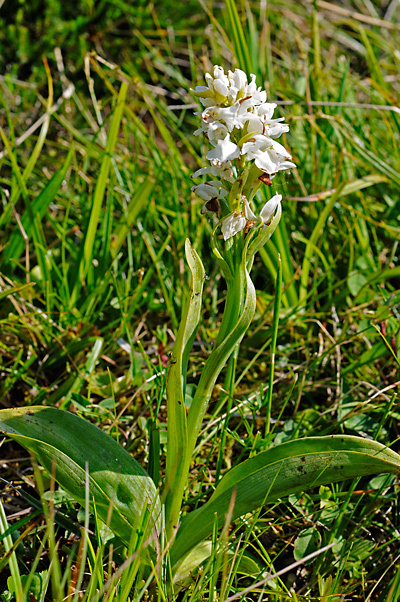 Following the benchmark books about the genera Anacamptis, Neotinea and Orchis (together with Horst Kretzschmar und Helga Dietrich, 2007) as well as a monograph about the genus Cypripedium (2009), Wolfgang Eccarius now has finished his long lasting work and has published a compendium about the Dactylorhiza orchids. 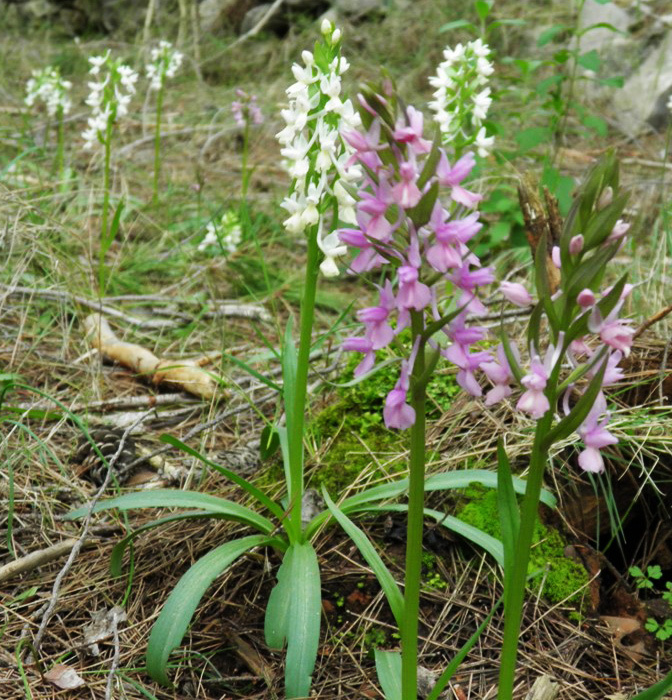 The book closes a big gap and covers a genus of orchids which is especially rich in species and quite widespread in Europe. 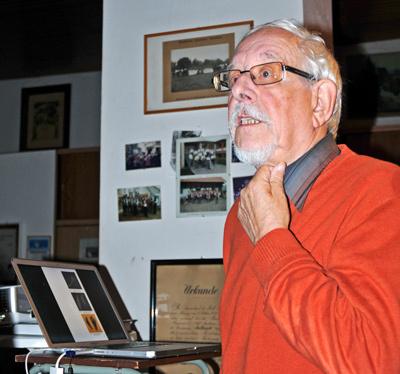 As he has established in former publications, the author at first gives a comprehensive introduction before portraying 37 species and 46 subspecies. Eccarius explains his methodological approach and offers a summary of the research history, beginning with the plant book of Otto Brunfels published in 1534. The book abstains from giving a system to identify the species by morphological indicators. 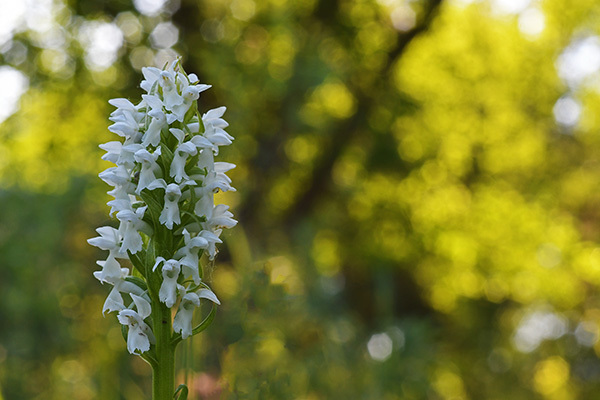 But a tree of the genus structure based on genetical research offers a good overview about the manifold Dactylorhiza orchids and their relations. In his description, Eccarius has taken some main decisions. 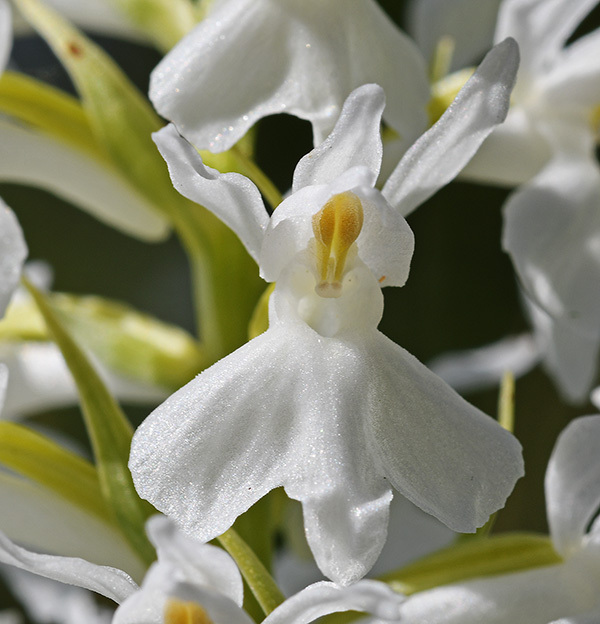 He abstains from describing varieties and forms, arguing that those terms are “highly problematic” with Dactylorhiza. “The main goal of the author was a genus structure wich matches logical principles as well as the needs of observations in the field.” He stresses that’s it’s more important to differentiate between the ten sections than defining species: “With Dactylorhiza, sections are much easier to define than species.” For example, the Fuchsiae form a section of their own, together with Dactylorhiza saccifera. 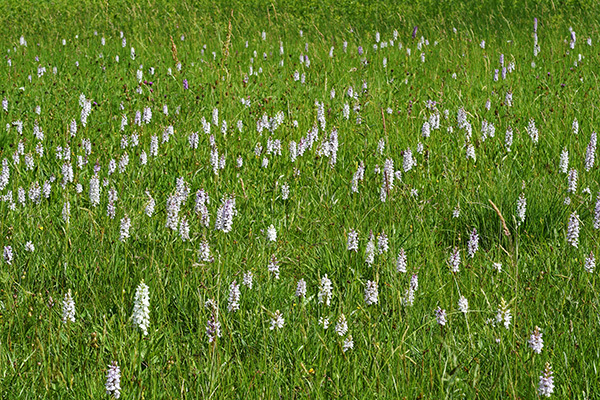 The section of Majales comprise Dactylorhiza majalis, Dactylorhiza cordigera and Dactylorhiza elata. 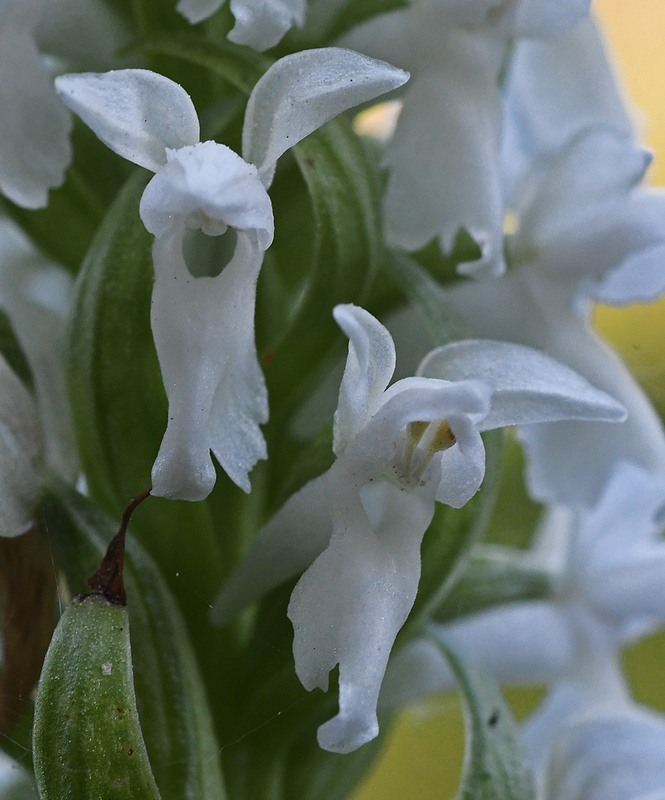 It’s comprehensible that Eccarius views Coeloglossum viride as Dactylorhiza viridis. 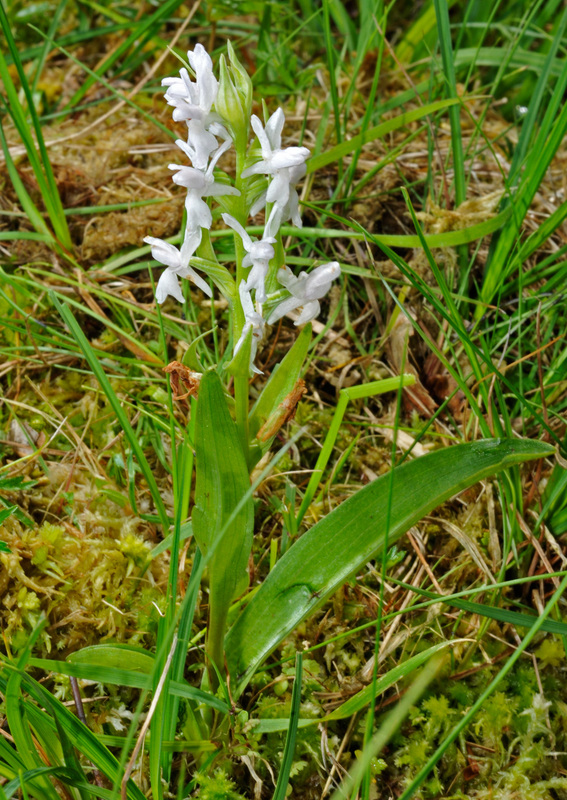 The Viridae are presented as a subgenus, in addition to the subgenus Dactylorhiza. 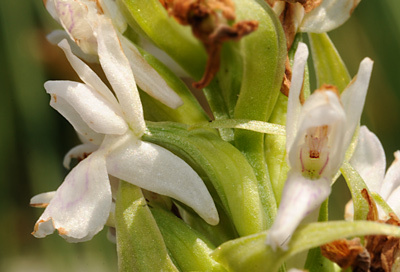 Other taxonomic decisions are more thought provoking. For example when the yellowish Early Marsh Orchid no longer is a subspecies of Dactylorhiza incarnata, but an own species Dactylorhiza ochroleuca – because there are only very few hybrids between both “which justifies the treatment as a single species in the view of the author”. 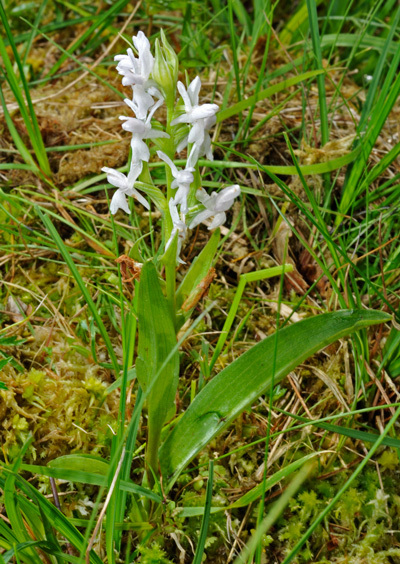 But this is also valid for Dactylorhiza majalis subsp. 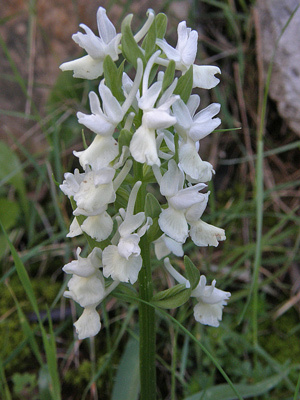 calcifugiens, which is presented by Eccarius only as a synonym to Dactylorhiza sphagnicola. 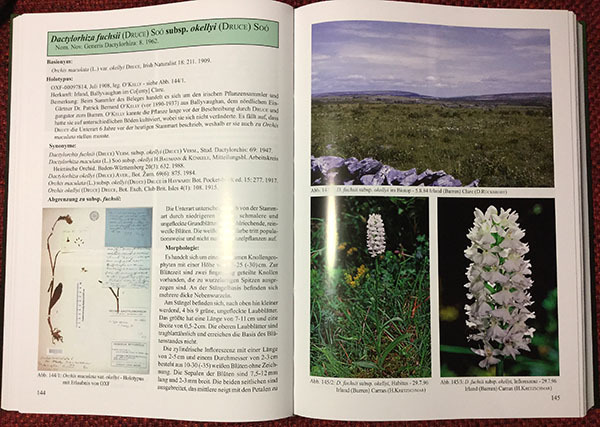 The book shows a photo of a plant from the German region of Celle which seems to be an albiflora form of Dactylorhiza sphagnicola, but which is quite different form the calcifugiens population in Northern Denmark. 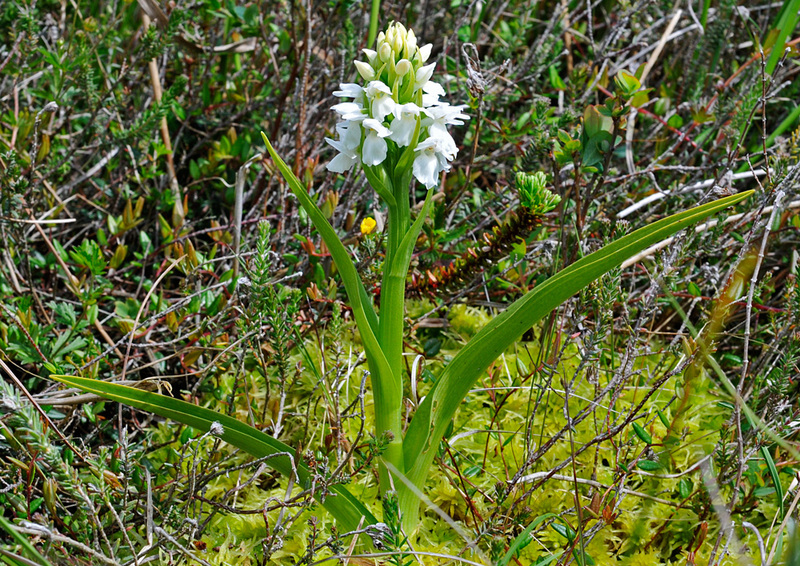 Quite useful are the explanations about Dactylorhiza maculata, which is presented as a west and northern European species, distributed also in Northern Africa and Northern Asia. 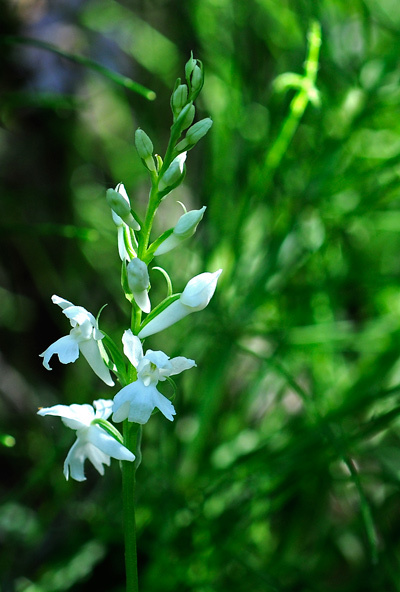 The color of flower is described as especially variable, from pure white to a soft and light purple. 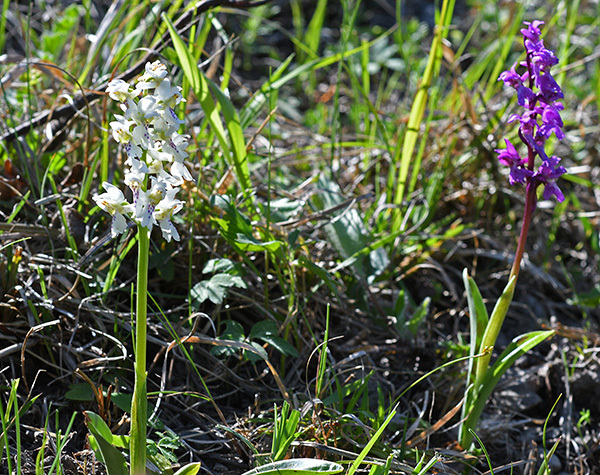 Eccarius understands the tendency to a color dimorphism (or polymorphism) which is typical for the genus as functionally relevant. 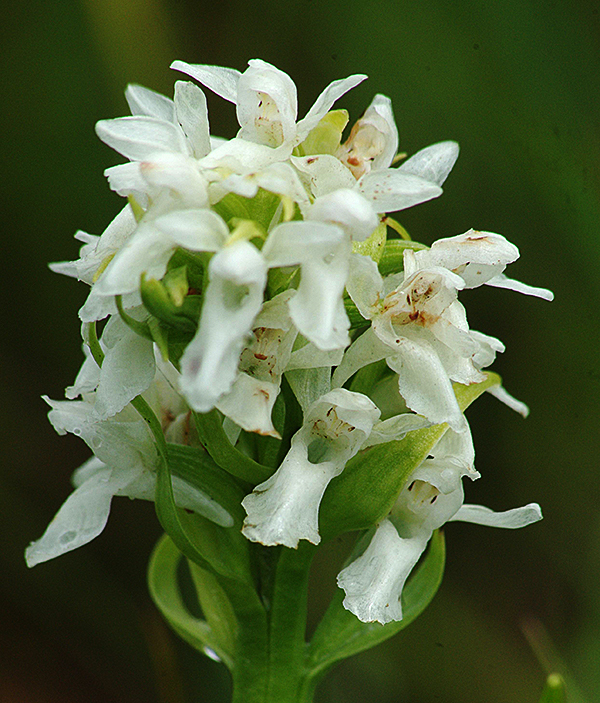 With Dactylorhiza romana, sambucina or incarnata this phenomenon serves as a factor, “to avoid quick learning experiences of polinating insects”. 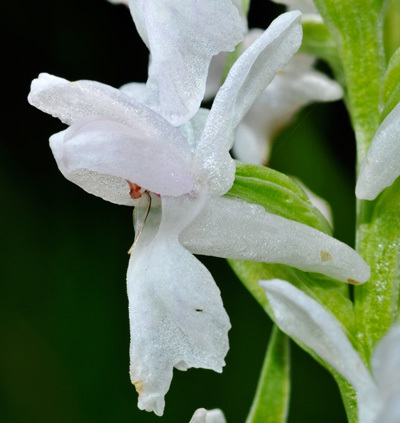 This matches with the regionally different tendency of Dactylorhiza fuchsii to develop albiflora forms. 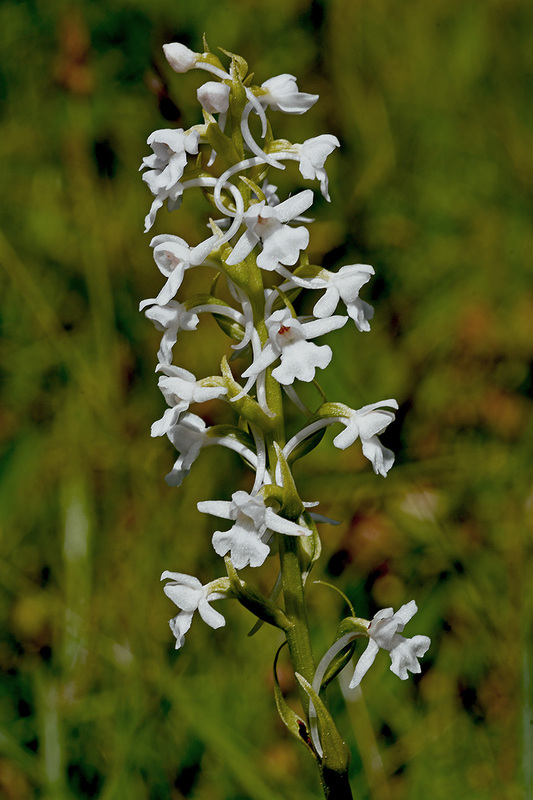 The new book makes big progress in understanding the Dactylorhiza orchids. 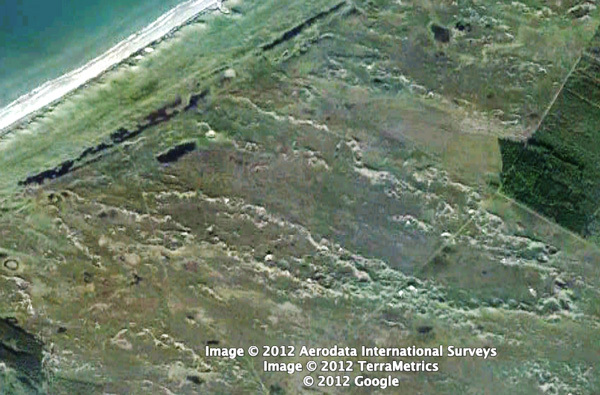 But for a full perception there is still a lot of research necessary. 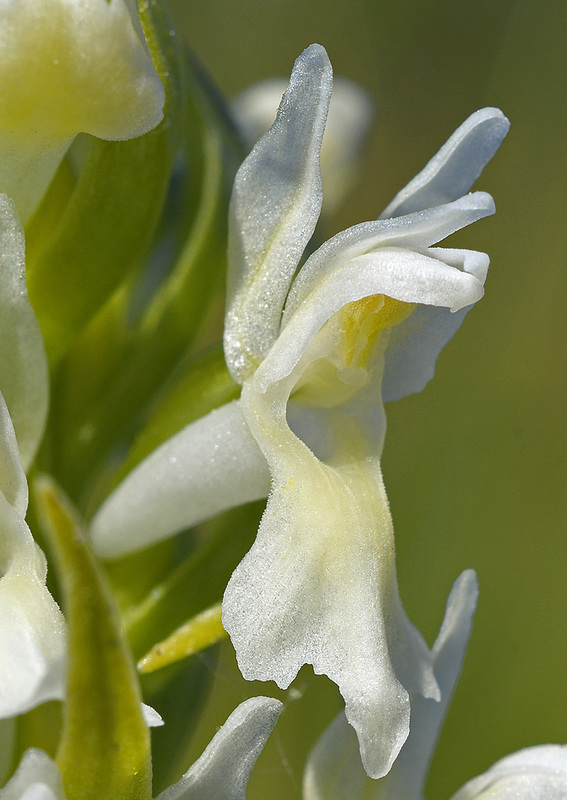 Two great publication projects about European orchids are being prepared which will meet high expectations. At the 16th Orchid Conference in Sundheim (near Kehl, Southwest Germany), Wolfgang Eccarius offered a first look into his project of a monography about the genus Dactylorhiza – the planned publication year will be 2015. 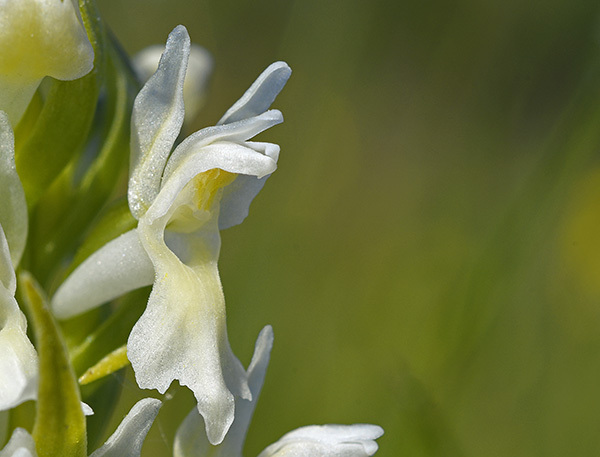 Among the about 50 participants of the conference, coming from Germany, Switzerland, France and the Netherlands, was Karel Kreutz who is working on an opus of 6 to 7 volumes about all the orchids in Europe, which is expected to be published probanly in 2016. 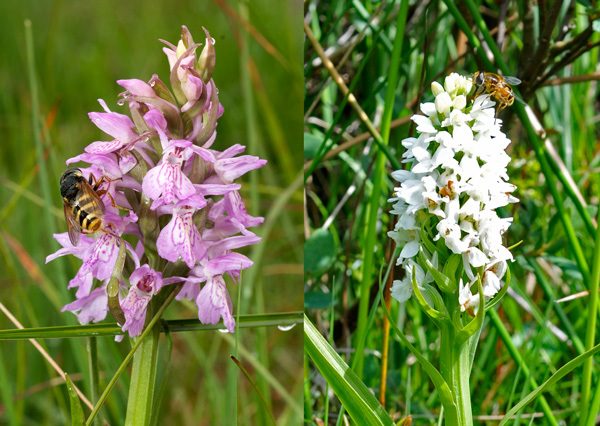 At the beginning of the meeting, Helmut Baumann showed a series of impressive videos showing pollinators of different orchid species. 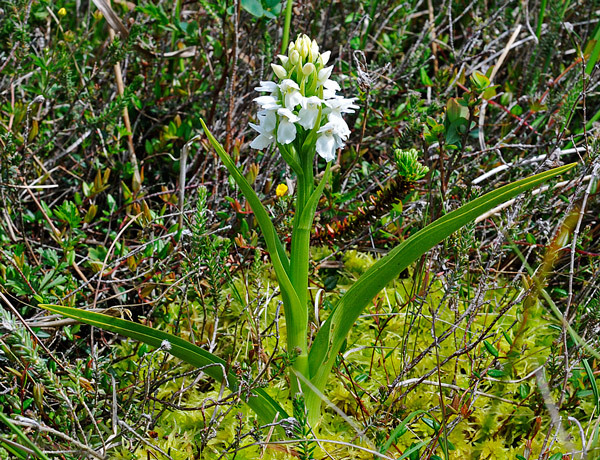 Helmut Presser presented photos of his latest Greece journey, Peter Goelz showed pictures taken at two different locations of Ophrys kreutzii in Turkey and the Essink couple shared impressions from Rhodos. 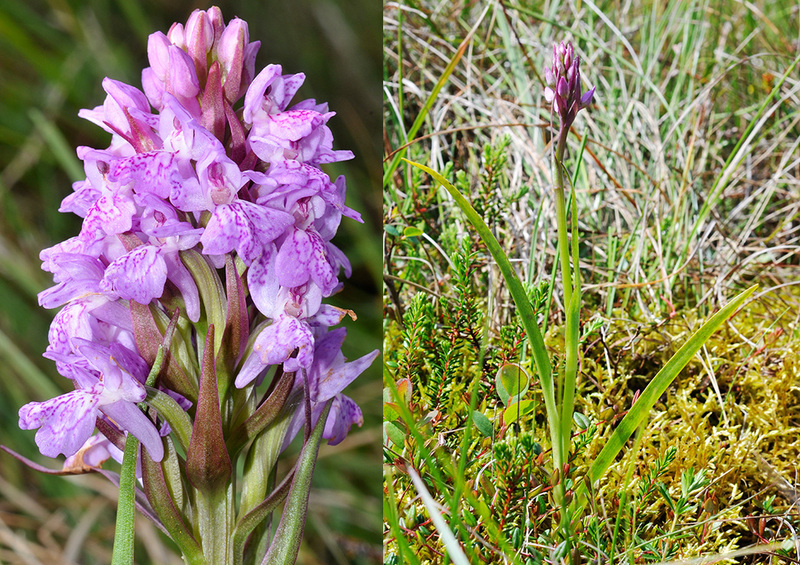 In my contribution about “Colour polymorphism with Dactylorhiza – Evolution as a continuing process” I presented my studies about Dactylorhiza fuchsii and the calcifugiens location in Northern Danmark. After a partly controversial debate, Wolfgang Eccarius talked about the specific difficulties of his Dactylorhiza project. 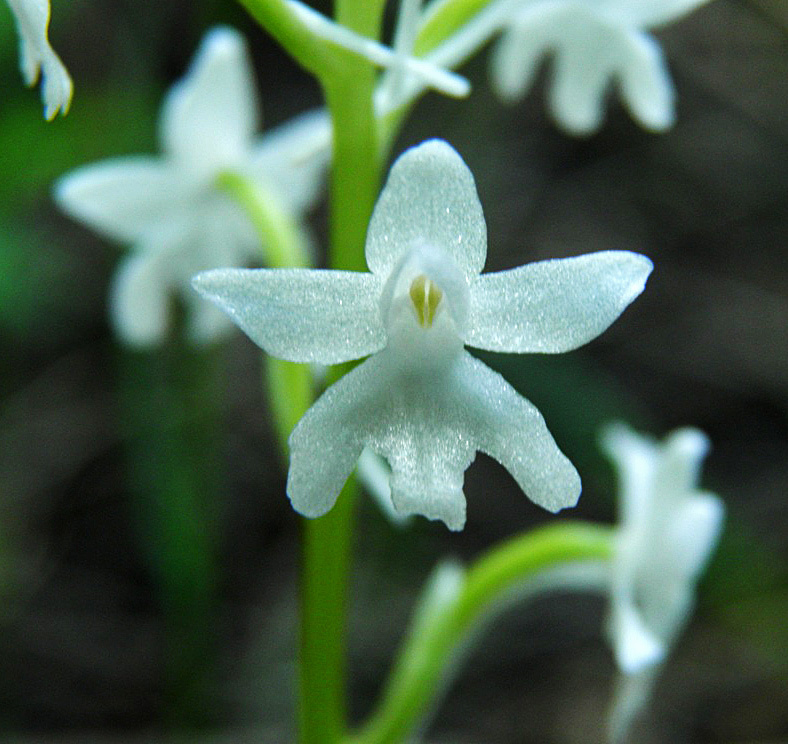 The common genetical methods to differentiate between species, such as the construction of cladograms by means of an analysis of the DNA’s ITS regions, may be used only with great caution in this case, he said. 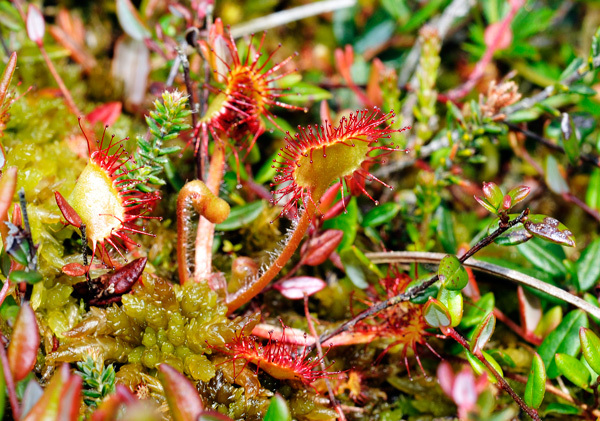 “This doesn’t function at all”, if a species has developed from two species. 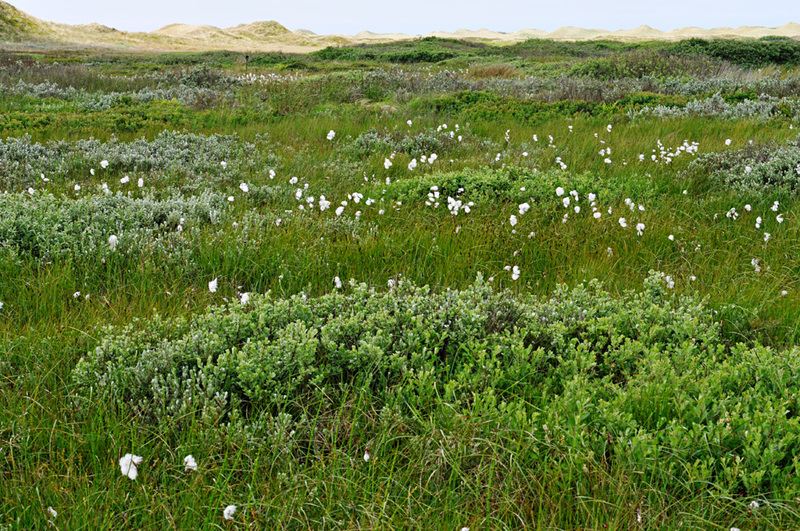 Therefore, he intends to base his book of about 600 pages on a rather broad concept of species. At the beginning, there was a comprehensive study of literature, including about 1100 protologues (original decriptions). 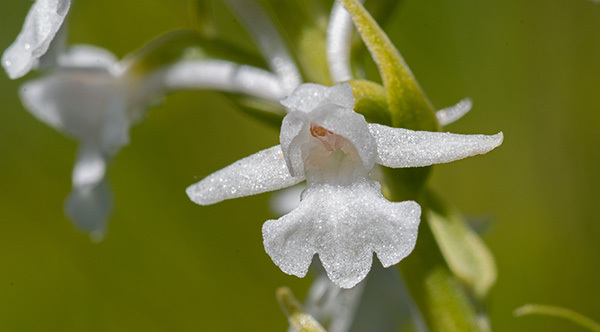 “This fact alone implies that the nomenclature of this genus will be a giant challenge”, Eccarius said. 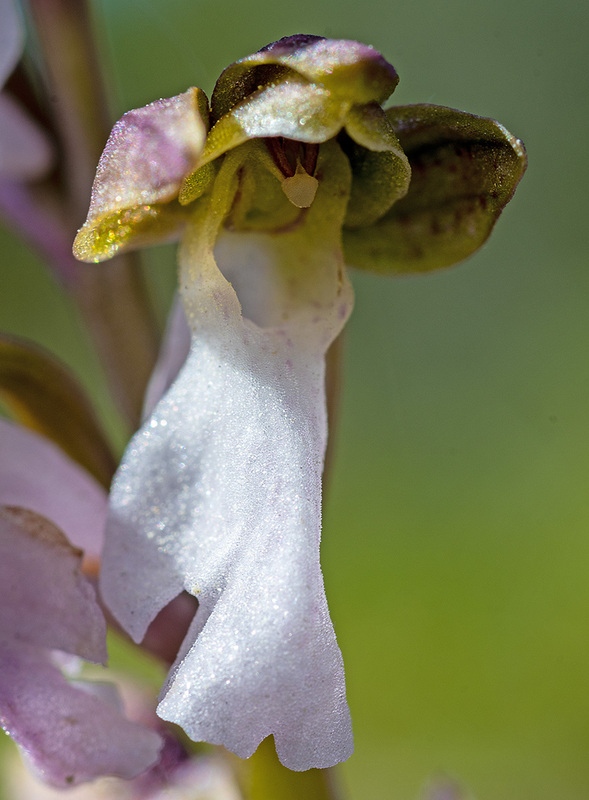 In order to concentrate on the essentials, he only wants to present species and subspecies in length, without ignoring varieties. 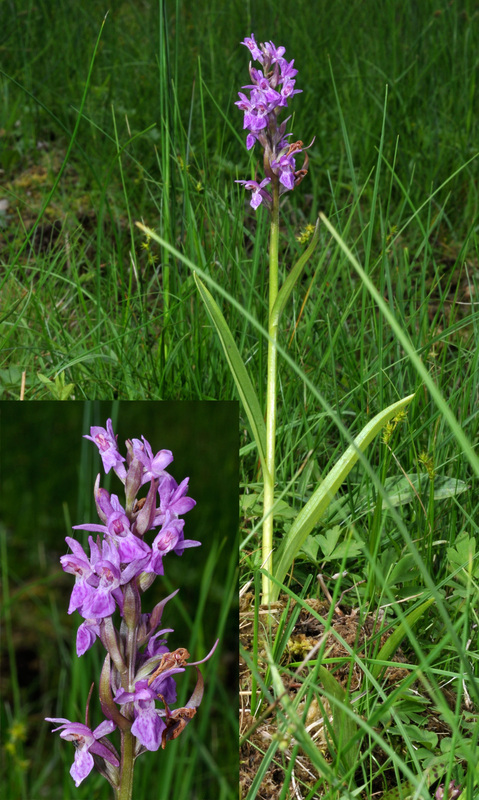 “I succeeded in looking into all typesheets”, Eccarius said – with one exception: “I’m still missing the typesheet of Dactylorhiza incarnata subsp. baumgartneriana. The typesheet cannot be found in Stuttgart, where it is said to be.” This subspecies, described by B. and H. Baumann, R. Lorenz and R. Peter in 2003, later described by Kreutz und Sebastian Sczepanski as Dactylorhiza kafiriana subsp. baumgartneriana, is named after Harald Baumgartner, the organiser of the Sundheim Orchid Conference. 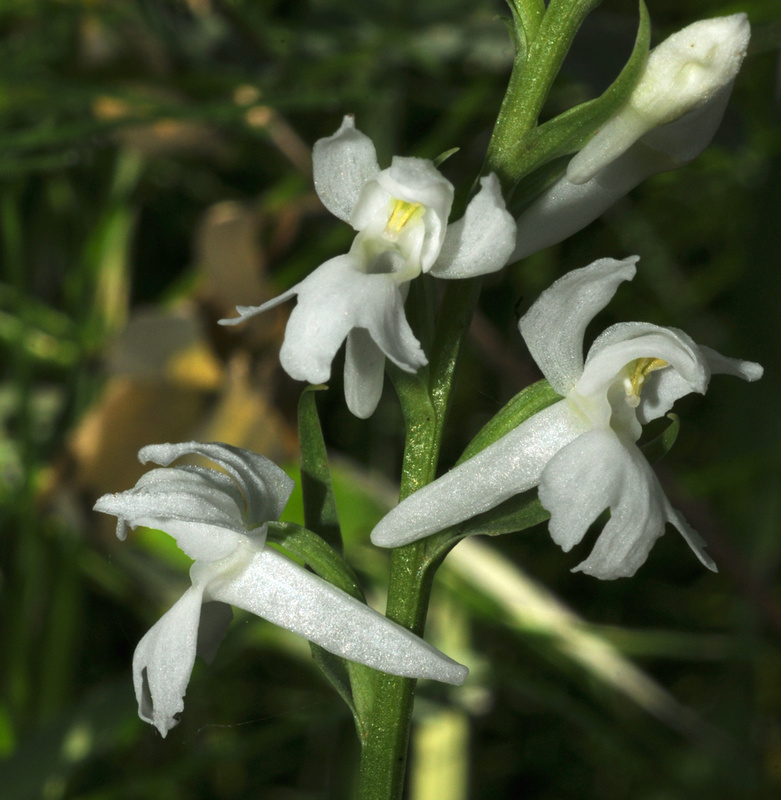 Thanks to all the contributions to this project website albiflora.eu I’ve compiled a first paper about the white-coloured forms of orchids, published in Berichte aus den Arbeitskreisen Heimische Orchideen (1/2012, p. 141-170). 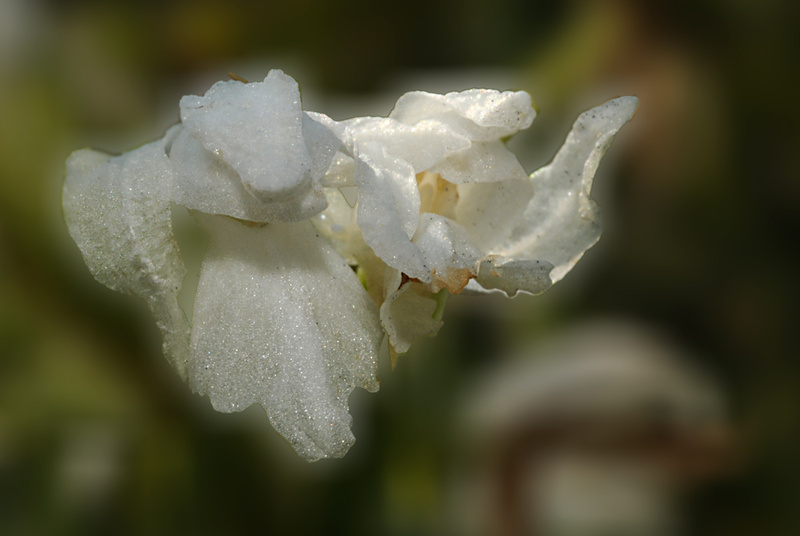 Following a short overview about taxonomic aspects the relationship of flower colour and fertilizers are discussed. 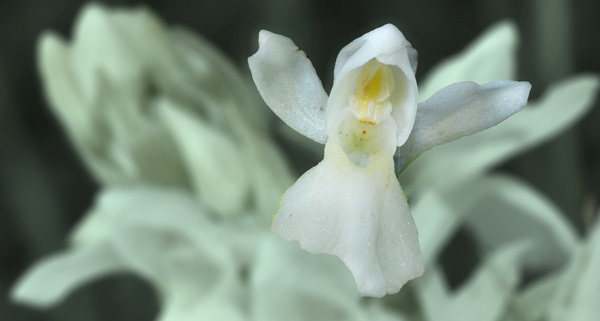 The main part considers the differences of albiflora forms with particular genera of orchids. 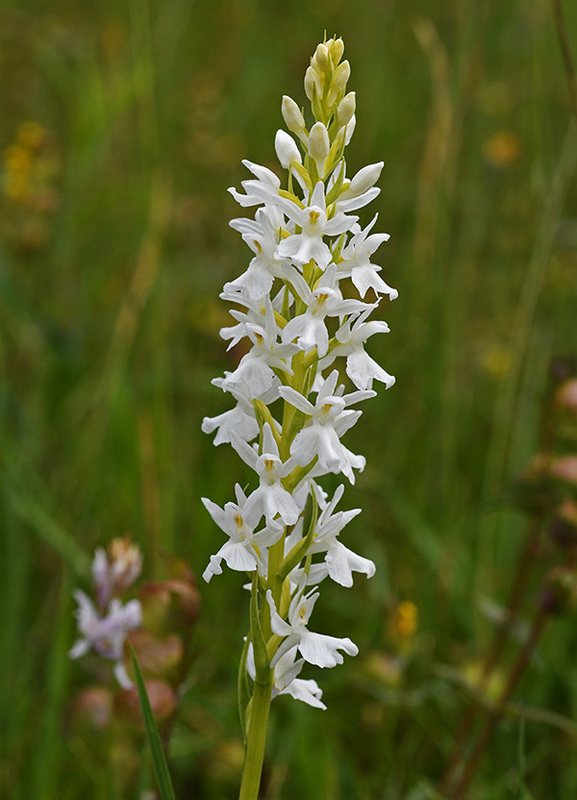 The paper finishes with a discussion of high frequencies of albiflora forms with Dactylorhiza fuchsii in Western Ireland and certain regions in Germany. Where does random mutation ends and where begins an evolutionary process? One possible scenario might be that nectar deceptive orchids flowering earlier than Dactylorhiza fuchsii – as there are Orchis mascula or Dactylorhiza majalis – impart fertilizing insects the experience that flowers with a certain form and a purple colour don’t grant them any nectar. 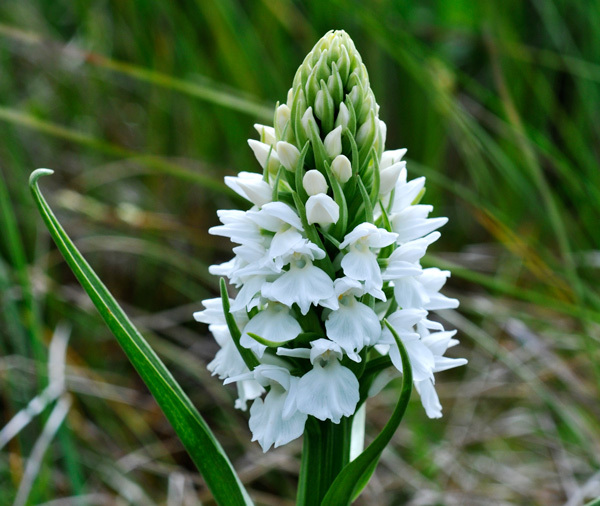 Thus, a colour change to white might be an advantage. The German language paper can be downloaded here. 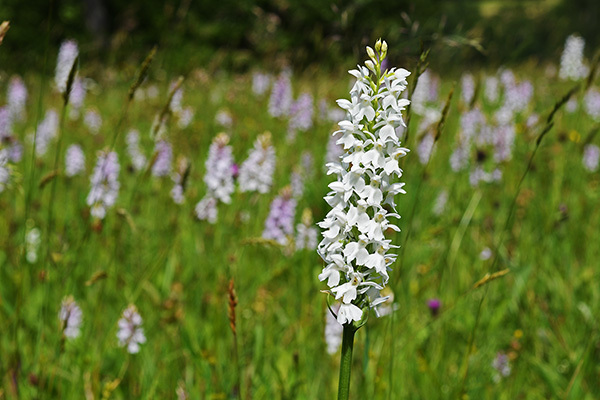 Orchid locations are constantly changing: On a meadow last visited in 2010, the number of Dactylorhiza fuchsii has been quite smaller this year. Now, there have been more Dactylorhiza majalis then before – and several hybrids of both species. 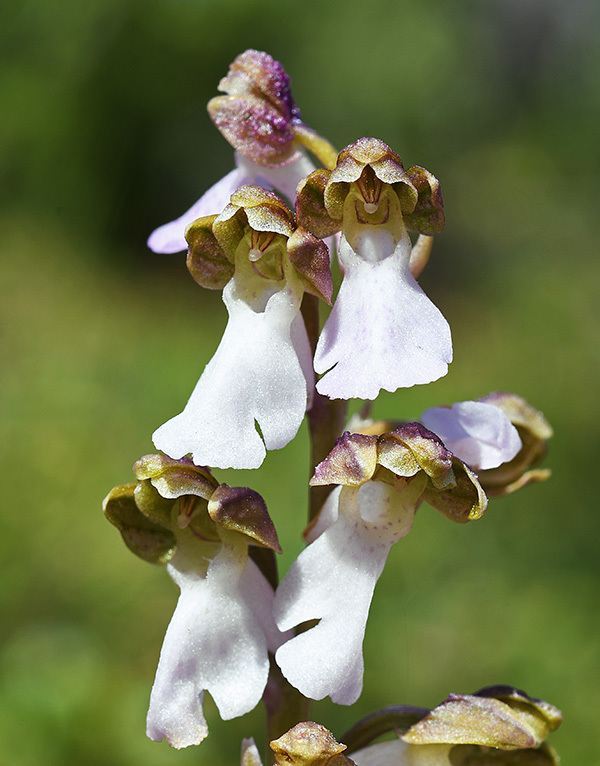 These may have quite different forms: either short plants with the broad leaves of majalis (above) and brighter, fuchsii-like flowers with a broad labellum – or more elongated, with narrow leaves and purple flowers with a slightly broader labellum (down). 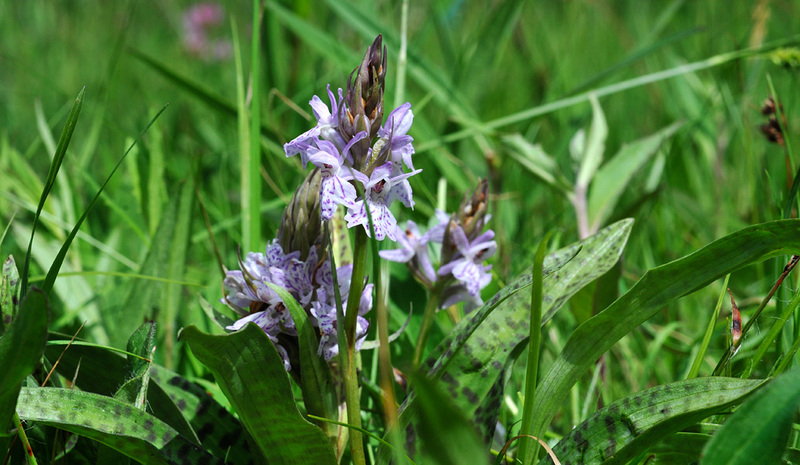 The Dactylorhiza fuchsii on this meadow which has both wet and dry areas are still quite bright, but most retain some purplish hue, at least in the pattern of the labellum. 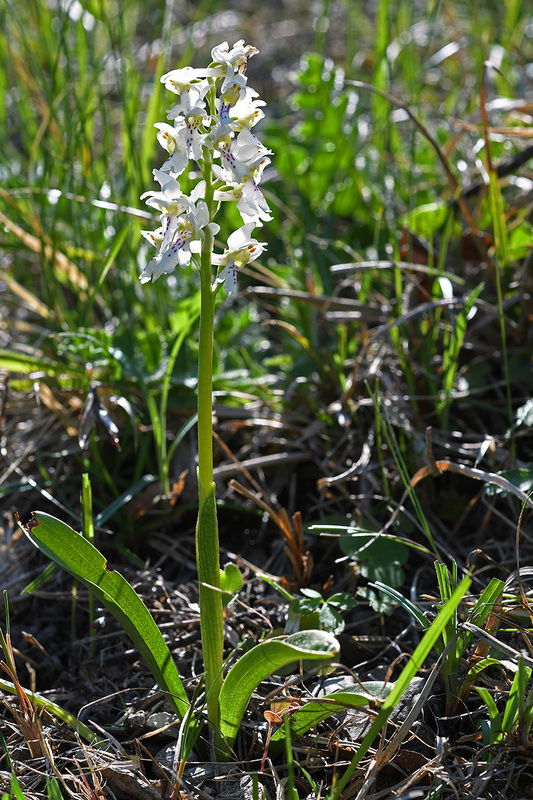 This time, an albiflora form of Dactylorhiza majalis was also flowering.